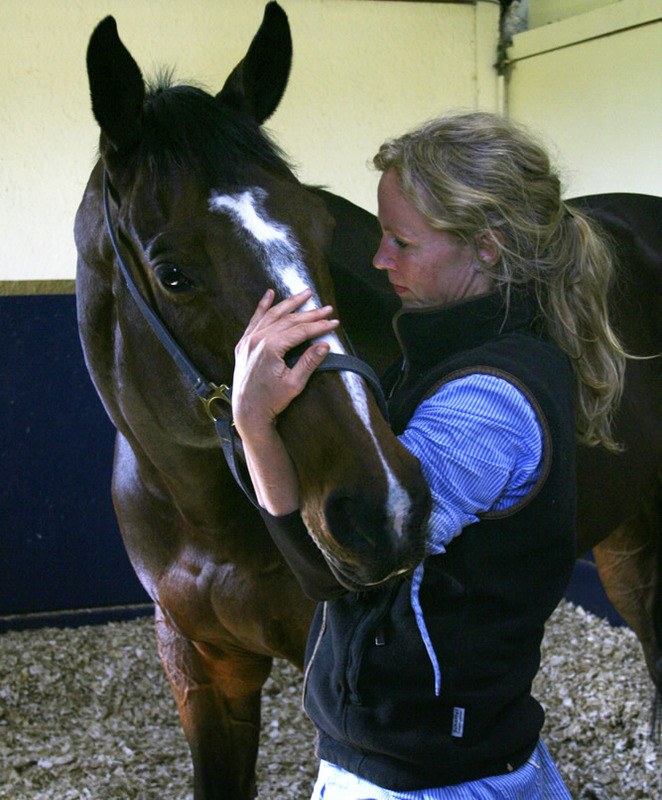 With a lifelong passion for horses, anatomy and biomechanics, I integrate skills acquired over 20 years of human bodywork with equine bodywork. Sessions begin with an initial evaluation of the musculoskeletal system, tissues, meridians and points. From here the best modalities and techniques to help each horse become clear. Treatment aims to assist the body towards greater balance and natural alignment. An inclusive approach is always sought with other members of the team who care for the horse (groom, stable manager, rider, owner, trainer, vet, farrier and dentist). This helps achieve improved health and performance, as well as winning results for the competition horse. “With a lifelong passion for horses, anatomy and biomechanics, I am pleased to integrate skills acquired over 20 years of human bodywork with equine bodywork, finding many are transferable. Using a flexible treatment protocol, sessions evolve according to the needs of an individual horse. Working by feel, observing the small details of body language and led by their responses, it is possible to help horses clear stress and compression from the system and naturally stimulate the flow of life energy.